Each year in conjunction with our SCADaddle for Research 5Ks, survivors from around the world take the opportunity to come together to celebrate their second chance at life. Families whose loved ones did not survive are also encouraged to attend. In fact, small to large groups of survivors get together at any given time throughout the year. As survivors travel for business or pleasure, they seek an opportunity to meet another survivor – even if it’s just for a cup of coffee at the airport. Those small moments with someone who truly understands what they are going through are worth gold. The 2017 National SCAD Reunion was held May 5-6 in Naperville, IL. 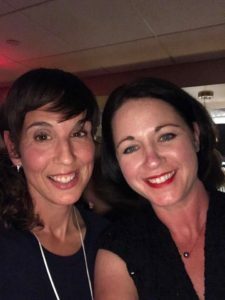 An informal social was held on Friday May 5th at the Courtyard by Marriott Hotel. 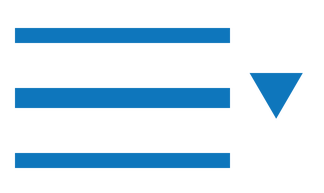 Besides meeting other survivors and their supporters, those attending had an opportunity to informally meet Mayo Clinic researchers and staff. Bob Alico, founder and president of SCAD Research, Inc., also joined in the festivities. After the 5K SCADaddle for Research on May 6th, Mayo Clinic presented their latest research findings and answered questions from the audience. Click to watch the presentation on our YouTube channel. A Survivor Reunion Dinner was organized on Saturday evening for SCAD survivors, their supporters and families whose loved ones did not survive at Granite City Food & Brewery Restaurant. During dinner, everyone shared something positive since either their SCAD or since the person they know had a SCAD. 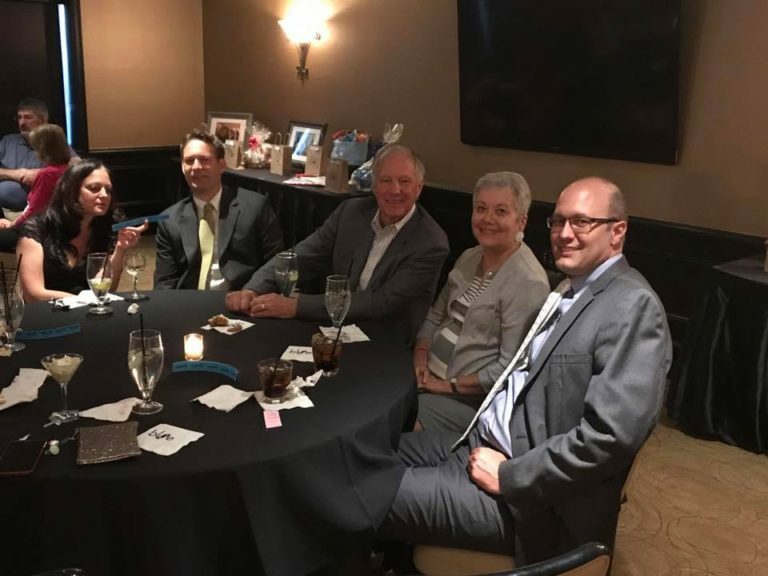 The 2017 Lehigh Valley SCAD Reunion was held June 9-10 in Bethlehem, PA.
An informal get together was planned for SCAD Survivors and their supporters on Friday evening June 9 at the Courtyard by Marriott in Bethlehem, PA. 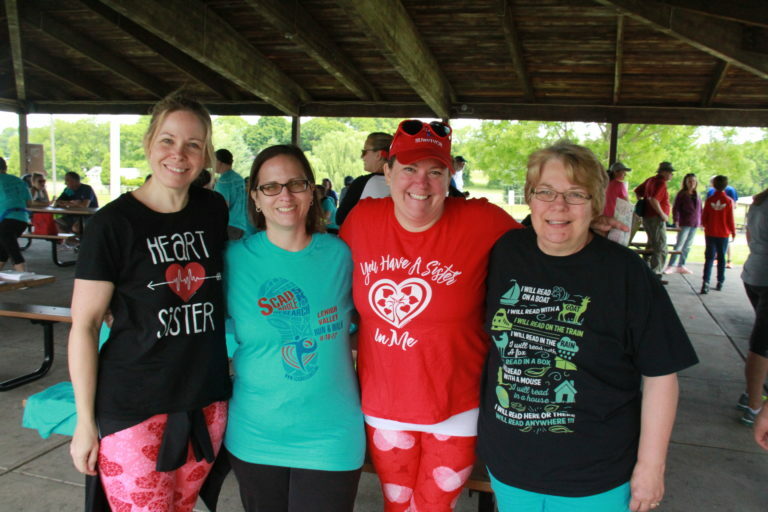 The 5k SCADaddle for Research was held June 10th. Our second Gratitude Gala cocktail reception took place Saturday evening June 10 at the Blue Events Center, Bethlehem, PA. The cocktail reception fundraiser featured hors d’oeuvres and a cash bar with fun and festive drink options. The Gala was open to community supporters in addition to families and friends impacted by SCAD. A silent auction and raffles were included thanks to the donations of baskets, gift cards and goodies by families and businesses. With over 80 people in attendance at the Gala, SCAD survivors and families impacted by SCAD had an opportunity to connect, to share gratitude for the weekend and for each other and to raise awareness in the community about what SCAD. An informal get together took place for SCAD survivors, their supporters and families whose loved ones did not survive on Friday evening September 8 at the Courtyard by Marriott in Carlsbad, CA. They also had an opportunity to meet Sharonne Hayes MD from Mayo Clinic SCAD Research Program, Jennifer Tremmel MD from Stanford University Medical Center and Bob Alico, founder/president of SCAD Research, Inc.
After the 5K SCADaddle for Research on September 9, survivors and supporters gathered to hear Drs. Hayes and Tremmel present their insights about SCAD and answer questions. 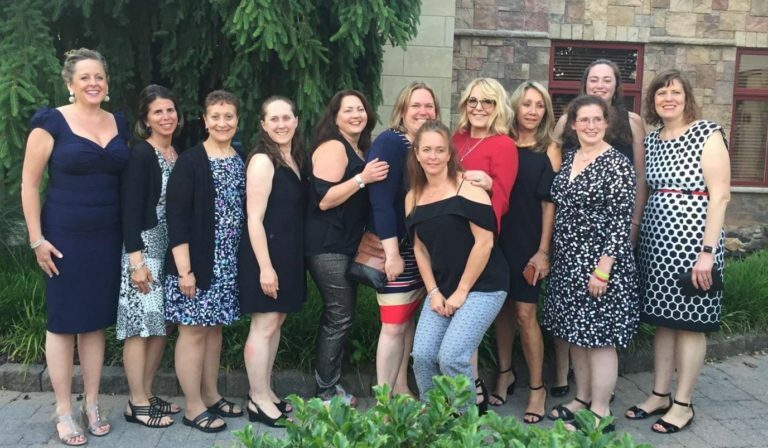 A reunion dinner was organized on Saturday for survivor, their significant supporters and families who lost someone to SCAD at Green Dragon Tavern Inn & Museum. During the dinner, survivors were challenged to share something SCAD taught them about themselves.